Video above showing footage that I shot of the Tiger Inn at East Dean in Sussex using the 8mm iphone app. In the early 1970s, Sixto Rodriguez was a Detroit folksinger who had a short-lived recording career with only two well received but non-selling albums. Unknown to Rodriguez, his musical story continued in South Africa where he became a pop music icon and inspiration for generations. Long rumoured there to be dead by suicide, a few fans in the 1990s decided to seek out the truth of their hero’s fate. What follows is a bizarrely heartening story in which they found far more in their quest than they ever hoped, while a Detroit construction labourer discovered that his lost artistic dreams came true after all. 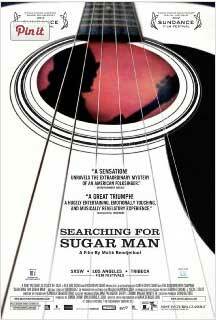 This 8mm iphone App came to light when the Searching for Sugarman documentary won an Oscar in 2012. Whilst shooting the documentary the director Malik Bendjelloul found that shooting Super 8 was becoming Increasely expensive. The answer to Malik’s problem came in the form of the Apple 8mm iphone app. This gave Malik the flexabilty to shoot the necessary footage to mimic the 1960’s and 1970’s look and feel for the flash back scenes in the documentary. 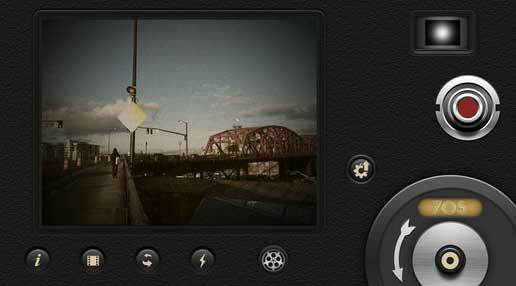 The user has can choose various settings within the 8mm App which include. 4:3 or 16:9 aspect ratio. Film looks Include 1970’s, Sakura, Xpro, Noir, 60’s, Peta, Indigo,Tusan, Siena, 1920’s. HD and SD the app allows you to shoot in HD video and SD video. Frame rates of 25 and 18 frames per second which is what most 8mm film cameras shot on. Frame judder. Allows you to press a button on the screen which can judder the frame.